Steven Matz gave the Mets a masterful 7.1 scoreless inning 1 hit 8 strikeout performance, and the Mets finally won two games in a row for the first time since July 6th/7th. I Was Relieved: Alexei Ramirez broke up the no-hit bid in the 8th with a one out opposite field single over the first base bag. Honestly I was relieved when Matz gave up the hit. The last thing I wanted was Matz throwing a 135 pitch no hitter. I realize a high pitch count doesn’t necessarily mean a pitcher is going to injure his arm. I realize Johan Santana and Steven Matz are different people and Matz is young and Johan was older when he threw his no-no. All I know is Gary Cohen was talking about the Johan Santana “myth” and basically refuting that Johan’s career went in the toilet shortly after he threw his no hitter. Ummmm that ain’t a myth folks. Johan threw that no hitter, and he was never the same. The no hitter was a factor in his demise. Obviously the mileage on his arm and the fact that he already had shoulder surgery were both signs that he was nearing the end of his major league road. But it’s absurd to reject the notion that the no hitter had a negative impact on his arm. 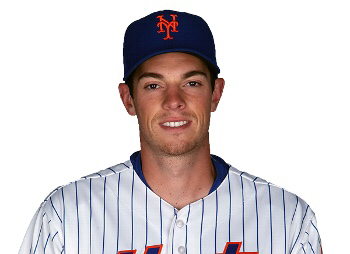 All that being said, it’s impressive that Matz has been pitching effectively with these elbow spurs. He’s been resilient and it’s impressive. A Couple Of Blasts: Wilmer Flores (2nd inning) and Neil Walker (4th inning) each had solo homers off of lefty starter Clayton Richard. Wilmer really crushes lefties. He’s hitting .346 against them. And Neil just continues to be scorching hot. Reyes Insurance Company: In the 8th inning Jose Reyes singled, stole second base, and advanced to third when catcher Derek Norris airmailed his throw into the outfield. Then Jose scored on a wild pitch to make it 3-0 Mets. It was a classic Reyes speed-based insurance run. Then the Mets piled on more runs (not a misprint). Ty Kelly and Jay Bruce both reached on walks and with two outs T.J. Rivera launched a two run double to make it 5-0. This Rivera guy has looked good so far. He had two hits in this game. Hopefully Asdrubal Cabrera returns at the end of this week as expected but it’s nice to see somebody step up while filling in for one of our many injured players. Hurry Yo: The Mets need Yoenis Cespedes back so bad. Reyes, Yo, Bruce and a hot Neil Walker in the same lineup might actually have a chance to score some runs on a regular basis. Pray for Yo and his quad. Is Silence Bad? : No word on Zack Wheeler and the condition of his surgically repaired elbow. Is silence good? It can’t be good. Pray more. Tomorrow: The Mets head to Arizona and then San Francisco. West Coast trips are always brutal. Winning two in a row at home is a legitimate summer accomplishment for the 2016 Mets. Let’s see if they can make it three in a row on the road. We in Arizona welcome the Mets. Now, forget about last week and continue the work the Red Sox began against the Dbacks this weekend. Three in a row, then off to Frisco.